Looking down on an interesting crevasse from Mt. Moore. 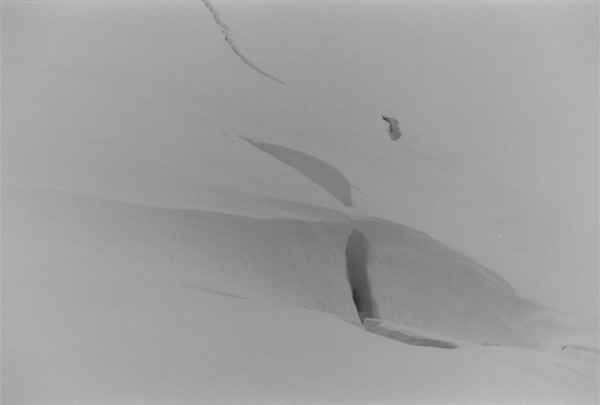 Snow has been blown in a strange manner to form a ridge and a small bridge.